Nola McConnan aoca aestc tws makes portraits and pictures for you. 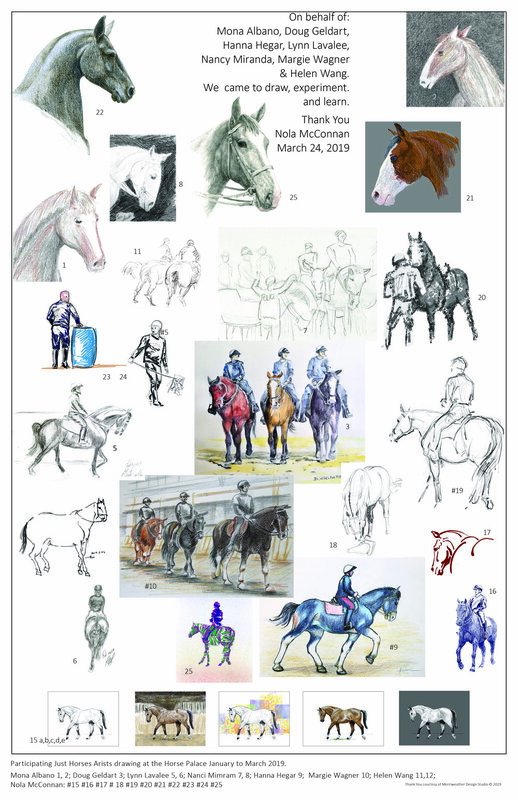 Ten weeks of drawing horses & riders from life, courtesy of Toronto Police Service's Mounted Unit. We Looked, Saw and Drew the horses and their riders from life. "Making Better Pictures Book One: Just Horses". “Just Horses” is built on over 50 years of imaging horses and their people plus 30 years of Making Better Pictures workshops with participants of all experience levels. Making pictures is simple, take the time to learn with tools, techniques and tips that make it easy.